William E. “Billy” Marchetti, age 66, at rest December 16, 2016 at his home in Darien, IL. Proud Vietnam veteran. 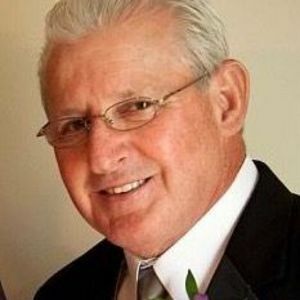 Beloved husband of Linda nee Caputo; loving dad of Deanna (Matt) Suklowsky, William (Kim) and Anthony (Sara); devoted papa of Sofia, Benjamin, Alex, Logan, Leland, Luke and Noah; dear son-in-law of Alice (the late Pat) Caputo; lifelong best friend of Pat Tomaselli; dearest baby brother of Charlene (the late Lenny) Lewandowski, Mary (Robert) Marino, Nancy (Peter) Pennino and the late Donna (the late Frank) Ritacco and the late Michael (Connie) Marchetti; special brother-in-law of Pat (Kim) Caputo, Diane (Mark) Marola and Mark (Ann) Caputo; preceded in death by his parents Paul and Frances; fond uncle of many nieces and nephws, godfather to many. Billy was deeply devoted to Darien VFW Post #2838. They were truly brothers in arms. Funeral Tuesday December 20, at 9 A.M. from Russo’s Hillside Chapels 4500 W. Roosevelt Rd, Hillside (Anthony P. Cappetta & Son Directors) to Our Lady of Peace Church, Darien, Mass 10 A.M. Interment private. Visitation Monday 3-9 P.M. with military services at 7 P.M. In lieu of flowers memorials may be made to Darien VFW Post 2838 PO Box 955 Westmont, IL 60559 or American Brain Tumor Assoc. 8550 W. Bryn Mawr Ste. 550 Chicago, Il 60631. Info 630-852-8000.